Eyelashes! | TOKEN DREAD GIRL! There are some times when I’m too lazy to get my Duo out and do my lash strips. 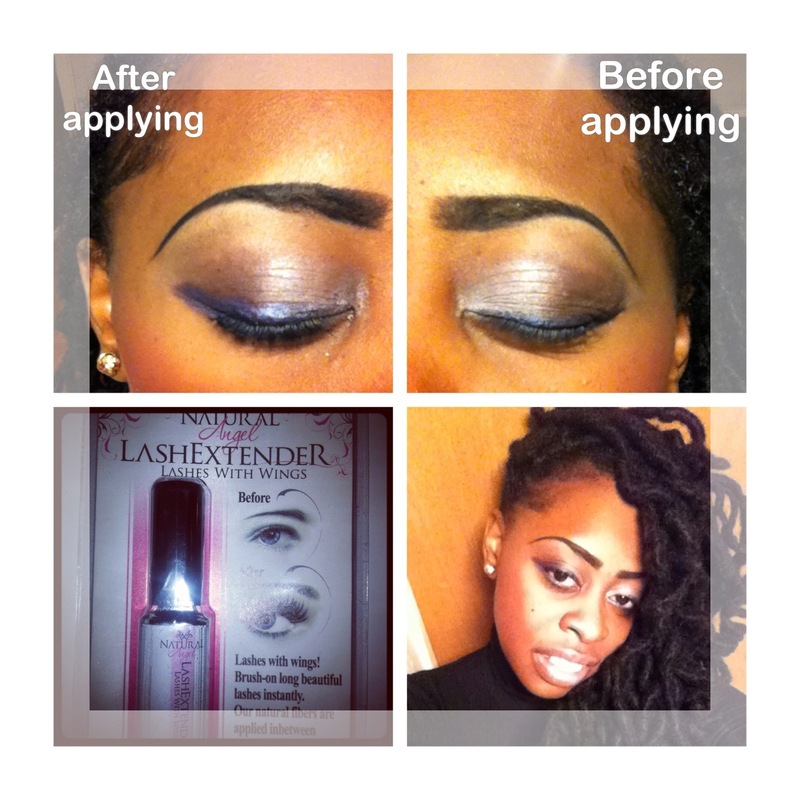 So on my lazy dayz and for a more neutral look I use Natural Angel Lash Extender “lashes with Wings”. I was pretty skeptical about using it. But I decided to give it a try! I love it! Can’t live without it now. I have ample length eyelashes, (sidebar, why do guys have amazing lashes and they really dont need them. Hmphh) Anywhoo. This product totally gives my lash a boost. It also lengthens my lower lashes too! You use it with your fave Mascara and wala. Beautiful lash length! And this is just two coats of it. You could def get a thicker and longer effect!